As you know, the Milan Design Week is the place to discover new trends, upcoming colors, materials and of course new talents. After six exciting days the Milan Design Week has come to an end. This year we introduced ANDY to you. A chair that plays with the way of how cane was used in the past and how to challenge this tradition today. By the way: Thanks to Elle Decor! Next to ANDY the new colors of MODULO caught a lot of attention and contributed in a great way to our booth design. Exhibiting at the Salone Satellite is an event to not only talk about our design approach but to experience it. That’s why SOMA, RETURN and LUNAR have been part of the show, too. Thank you for your visit. We hope you enjoyed it as much as we did! Are you looking for press information? Please take a look at our updated press section. Here you can find all relevant information, including high resolution pictures, cutouts and descriptions. We are happy to present our new prototype to you! After many months of work, we finally can introduce our ANDY Chair to the public. Today is the perfect day for this occasion as the Salone del Mobile opens its doors. We started working on ANDY from summer 2018. The aim was a design that leaves the traditional appearance of Viennese cane behind and impresses with its functional potential. Proud and sincere, ANDY presents his curved backrest. In a cheeky way, he puts the traditional Viennese cane to the test. 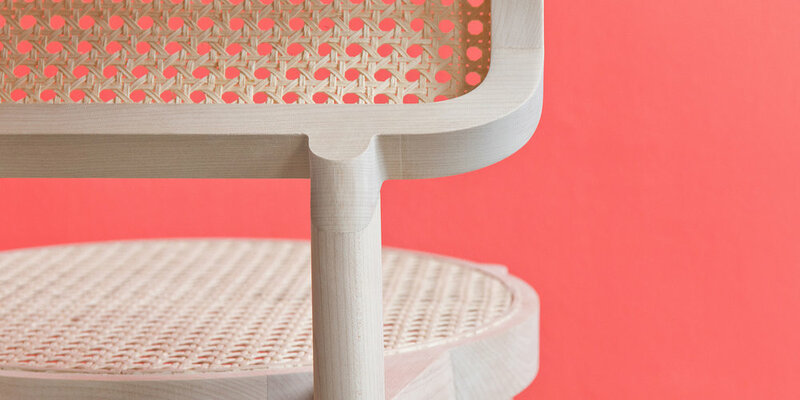 The woven cane becomes the focus of the design. Determined in place of the frame the mesh defines the shape of the chair. The wood elements are brought to a formal minimum so that the three-dimensionally stretched cane can develop its ergonomic potential. The combination of the flat-covered seat and the round shaped back presents itself as a mutual reference of tradition and modern presence. We are in Milan, our booth is ready and we can´t wait to for you to come around to see ANDY in person. If you consider a planned meeting, please don’t hesitate to contact us. It's almost a year ago since we met you at our previous exhibition at the Salone Satellite. Now we're getting ready for another run. For this year's exhibition we worked on a new design we can't wait to present to you. Until then have a look at this little appetizer and get an impression of what's coming up. Wood & Cane: Soon we´ll show you what´s new about that! Our aim is to reach out for editors and companies to design for. Presenting at the Salone Satellite can be the perfect opportunity to get in contact with industry professionals, press and designers. So, save the date and come to Milan! Salone Satellite was the first event to focus on young designers, instantly becoming the unrivalled place for interface with manufacturers, talent scouts and the most promising young designers, and since 1998 runs again concurrently with the Salone del Mobile Milano. Congratulations to our fellow friend Ilja for winning the IMM Pure Talents Award 2019 in Cologne. His three-part light fixture “Baschnja” can be split into individual light sources and positioned freely in the room so that users can create precisely the lighting atmosphere that they want. Each light source can be operated independently. The design year 2018 started with many new contacts in Cologne, a beautiful and successful exhibition in Milan and great new opportunities to look ahead. Back home we started right away working on fresh ideas and new concepts. Currently we're exploring new materials and shapes we haven't used before - a very exciting time for us. In september we'll be in Paris for one day to have a look at the Maison&Objet Fair. We're already curious if this could be a destination for an exhibition in 2019. As you know, the Milan Design Week is the place to discover new trends, upcoming colors and materials and of course new talents. Being a part of this year’s Salone Satellite gave us countless new impressions, many new contacts and way more experience in organizing an event like this. Together with Simon Schmitz we had a great time in Milan. Thank you for your visit at our booth. We hope you enjoyed it as much as we did! Are you looking for press information? Please have a look at our presskit. Here you can find all relevant information about this years Salone Satellite, including high resolution pictures and descriptions. Most of you probably know us because of our SOMA Chair. This chair already opened many opportunities for us. Actually - without it you might have never visited this blog post. Over time we developed tiny little details on the Kvadrat textile cover always aiming for further perfection. The result of this work was the exhibition in Milan and Cologne as part of the "ein&zwanzig" competition as well as winning the Red Dot Award 2017. We are proud to finally present our SOMA Chair in leather. Together with Jens Brockmann, a saddler master from Bordesholm in Germany, we worked hard to develop a single layer leather seating that is comfortable on the one hand and respects the traditional craftsmanship of saddle making on the other. This also includes the decision for the right cow hide. The core leather we used is a smooth 4mm strong piece. We took care to focus on a single and symmetrical piece featuring the great aspects of the material. The process to bring leather to the SOMA was so exciting that we like to share an insight. Keep an eye on our Facebook and Instagram pages. Coming this week there will be a short making of. We are about to finish the last preparations for our upcoming exhibition at the Salone Satellite in Milan. We're excited, well prepared and ready to go. Thumbs up! If you consider a planned meeting, don’t hesitate to contact us. Yes, this is clearly a sideboard - equipped with sliding doors, drawers and a hinged door. But still this is just an example of what MODULO could be. Storing things is purely individual - so should be the elements of a storage system. Individuality needs to be highlighted - a contour will put the elements into focus. Keeping things consistent - different elements become a single object in the end. The sideboard can be determined in width, equipped with drawers, compartments, sliding and hinged doors while the elements are colored in an individual color scheme. You want to take a closer look at our designs? Come to Milan! Our exhibition at Salone Satellite comes closer and we are excited to start our trip to Milan. You are more than welcome visiting us at our booth. If you consider a planned meeting, don’t hesitate to contact us. But for now, we wish you happy easter and relaxing holidays! It´s time to meet our new YUMA Table! This is a very special piece to our portfolio. More than usual this design is driven by a strong conceptual approach. YUMA´s design is dealing with the question: What makes a table? Every element of YUMA contributes to the answer.. This way YUMA becomes a table "prototype" which explains in a unique way what a table can be. YUMA tells us that the surrounding space is part of the conceptual understanding of a table. In a playful manner, YUMA invites us for having a conversation. By sitting at the table the user enters into the table’s space. The user’s lower body dissolves symbolically in the decreasing transparency of the engraved glass. The transformation of the concept into the final prototype was an interesting and exciting challenge. The lower structure of the table is made of triangle steel tubes which are very hard to get - but fit the design perfectly. The huge laser engraved glass tabletop was a project for itself. Creating a smooth transparency-falloff took me all the way to the research and development department of a leading German laser machine developer. We are excited to exhibit our new designs in Milan this year. Of course we invite you to come around our booth. If you consider a planned meeting, don’t hesitate to contact us. After having a great time in Tortona and Isola last year, we are happy to be back in Milan to show our new designs. This year, STUDIO MARFA will be part of the Salone Satellite at the Salone del Mobile. Together with a fellow friend, Simon Schmitz, we're having the pleasure of sharing a booth in the desired newcomer area of the world's biggest design fair. After several months of work finally some of our prototypes are ready! RETURN is the first one for you to take a closer look at. RETURN is inspired by the appearance of a space capsule gently falling towards its destination. While being stabilized by its parachute, RETURN swings slightly through the air. The body represents a formal counterbalance to the light cone. A touch switches on the light. After being touched the lamp slowly returns into its initial orientation. The base is made from brass and contains a high efficiency LED. The reflector catches the light while the carbon fiber structure absorbs every motion of the lamp. During the last months we have worked a lot on our new ideas and concepts. Now, finally some of our prototypes are ready for their first presentation!! We are happy to show you our New Designs for 2018 - colorful, warm and of course narrative. Every year in February the University of Fine Arts invites the public to take a closer look on Art, Photography and last but not least Design. We are happy to be part of this year’s exhibition. We want to use this opportunity to present you some of our New Designs. Come by and have a look. After an exciting year we are happy to get started into the new year with fresh ideas and new projects. Do you remember our SOMA Chair at the „ein&zwanzig“ exhibition during Milan Design Week? Thanks to the German Design Council for inviting us for a revival at the Kunstverein in Cologne during the IMM 2018. Starting this Sunday our SOMA Chair will be exhibited among several other winning designs. Feel free to come around! As nominees of the Best Newcomer Designers Award for 2018 we have been curious if we can make it to the finals. Unfortunately we were not selected - but still proud of this huge opportunity. Five talented designers were chosen to be the finalists of this highly regarded competition. One of these talents is a friend of ours, Laura Görs. She also was part of last year’s winners in Tortona. Congratulations and good luck, Laura! The Best Newcomer Designer for 2018 will be selected on February 9th during the Ambiente in Frankfurt am Main. We are happy and honored to announce our nomination for the German Design Award! Being nominated for the Newcomer category is another incredible chance for us to get in touch with industry professionals. Since we came back from Milan we focussed a lot on our portfolio to participate in this contest. We included our works like Soma, Lunar and Breton - as well as some really interesting upcoming projects. Soon the finalists will be announced - we are very excited! Our portfolio will be judged by a professional jury. Five finalists are going to be selected from the nominees. 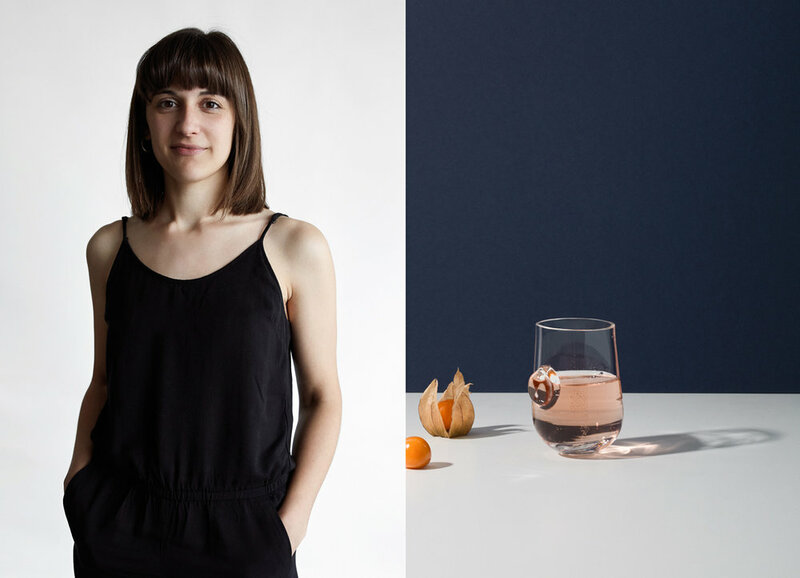 The Finalists and the Best Newcomer Designer will be presented during the Ambiente Fair in Frankfurt in February 2018. The German Design Council, the expert for brand and design in Germany, bestows the German Design Award. Established in 1953, it supports the industry in all matters consistently aimed at generating an added brand value through design. After exhibiting at the Coburger Designtage in Bavaria as part of the "Bavarian State prize for Design", the SOMA Chair is now displayed in the Winners Exhibition at the Red Dot Museum in Essen. We applied for the Red Dot at the special "Young Professionals Application Day" that offered 50 emerging Designers the chance to participate at the Award for free. We invite you to see our SOMA Chair in person. It will be presented with the beautiful yellow Kvadrat fabric you might remember from Stockholm Greenhouse earlier this year. And the Red Dot Award goes to... SOMA! We are happy and honored to announce that our SOMA Chair received the Red Dot Design Award 2017! We have never expected to receive this award when we started to design this chair back in 2014 at our university. It fills us with pride to see our former graduation project receiving this award. We applied for the Red Dot at the special "Young Professionals Application Day" that offered 50 emerging Designers the chance to participate at the Award for free. Thanks to the award SOMA will be shown in the Red Dot Museum in Essen, Germany soon. From 3rd of July we invite you to see our SOMA Chair in person. It will be presented with the beautiful yellow Kvadrat fabric some might remember from Stockholm Greenhouse earlier this year. Young talents are encouraged to a special degree: On the Young Professionals Application Day, graduates of design courses, who have obtained their academic qualifications within the past five years, have the opportunity to take part in the draw for one of 50 free registrations. In addition to the registration for the competition, the up-and-coming talents will be provided with comprehensive free benefits if they win an award. After being exhibited at the BMW World in Munich one of our SOMA Chairs travels to Coburg, Germany soon. This is the second exhibition as part of the "Bavarian State prize for Design" tour. You will be in Coburg from the 23rd to 28th of May? Feel free to come around and enjoy the event. Janis and I will be on location until Thursday the 25th of May. After six days of exciting events, exhibitions and parties the MILAN DESIGN WEEK has come to an end. Participating at these two exhibitions with so many other young talents made this Design Week a very special event for us. We shared many thoughts and enjoyed the deep conversations about design - just some of the highlights behind the scenes. We are proud that our SOMA Chair was among the winners of the "ein&zwanzig" competition organized by the German Design Council. A special Thank You goes to the professional jury of the competition, the Designers Eva Marguerre and Marcel Besau who developed the beautiful atmosphere of the exhibition. Of course we also thank everybody who helped realizing this great event. 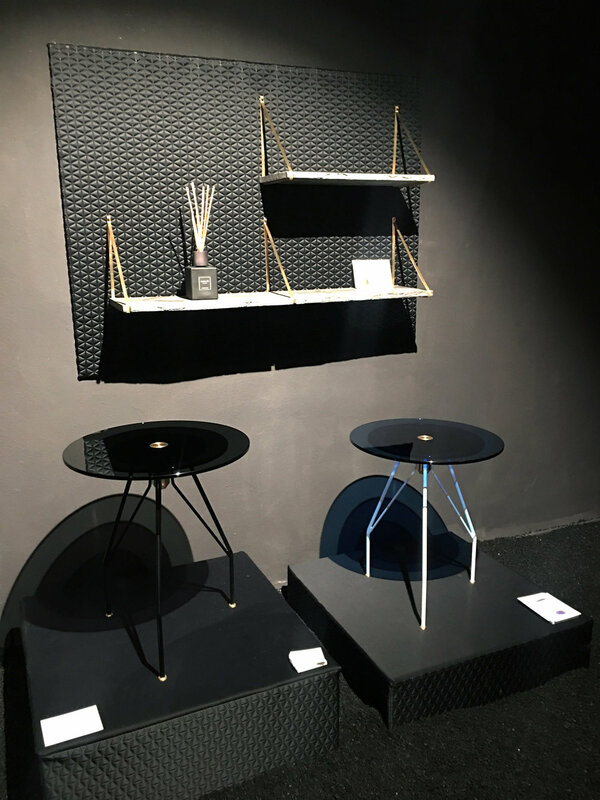 Our LUNAR Table and BRETON Shelf were presented at Haigo in the ISOLA Design District. A mystical environment, filled with magical objects made up this great exhibition. In between floating lightbulbs and tropical plants LUNAR appeared like from another world. The haptic structure of BRETON was highlighted by a spotlight that illuminated the darkness. We are proud to announce that Fabio and Marica of HAIGO.SPACE offered us the opportunity to present our LUNAR Table and BRETON Shelf in the Isola Design District during this year’s Milan Design Week. We first met Fabio and Marica in Stockholm this February at our Greenhouse booth. We enjoyed our conversation very much. This was when they introduced us to their idea of organizing a design exhibition in Isola. We were immediately convinced. Thank you guys! From 4th to 9th of April we are happy to invite you to join us in the ISOLA Design District to experience our products. HAIGO was born as an Instagram page in 2016 and is gathering 44'000 followers. Their aim is to develop a concept store in Milan which is enriched by uncommon high quality design objects. Besides HAIGO our SOMA Chair is shown as a winner of the "EIN&ZWANZIG" competition in the Tortona Design District. MILAN - WE ARE COMING! It feels like we just arrived from Stockholm Greenhouse - Yet we are packing our things again to prepare for Milan! We are happy and proud to announce that the German Design Council and its professional jury chose our SOMA Chair as one of the "ein&zwanzig" competition's winners. We are honored and excited to be part of one of the worlds biggest design events! From 4th to 9th of April we invite you to join us in the famous Tortona Design District to celebrate and to see our SOMA Chair. If you like to have a look at our SOMA Chair before April we recommend you to visit the BMW Museum in Munich. SOMA is part of the "Bayrischer Staatspreis für Nachwuchsdesigner 2016" and will be exhibited here until March 26th 2017. The German Design Council is an international centre of excellence for design. With the ein&zwanzig competition, it provides design students and graduates with a platform to present themselves effectively to the public. 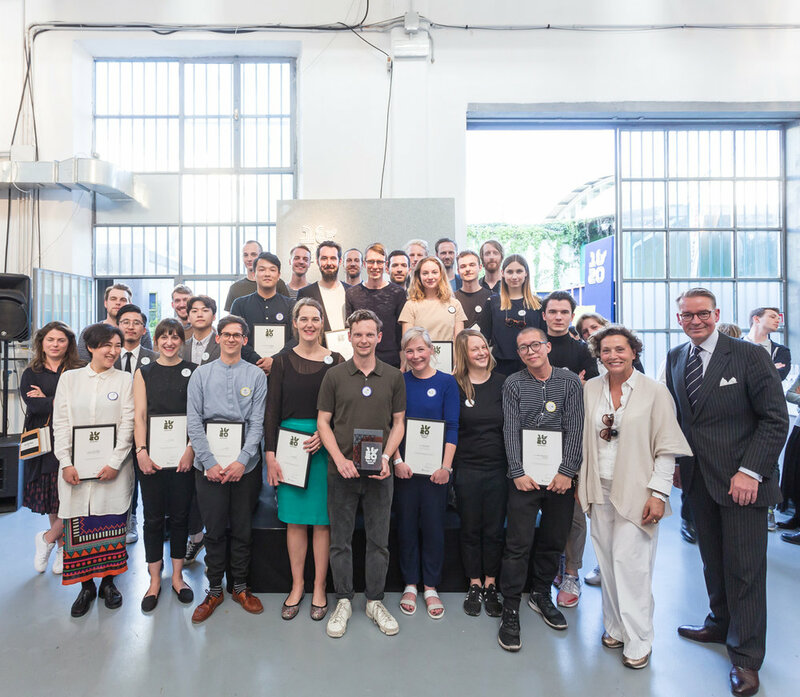 The high-calibre jury drawn from the fields of economics and design honours those who will be presenting their works in Milan to an international audience. Moreover, winners will benefit from a comprehensive service and support package, which the German Design Council provides to young, up-and-coming designers. We are happy to announce that our SOMA CHAIR is shown in the exhibition of the Bavarian State Prize for Young Designers 2016! The exhibition is located in the impressive BMW Museum in Munich and is part of the Munich Creative Business Week 2017. A big "Thank You" goes to the Jury that gave us this big opportunity to present the SOMA once more to the public and design professionals. We are proud to display our work next to other young and talented designers from many different design disciplines. After five incredible days at the Stockholm Furniture & Light Fair we are back at our studio in Hamburg. It has been a very exciting time at Greenhouse with a lot of feedback and great conversations. We showed three versions of my LUNAR table and the two sizes of Janis' BRETON Shelves. The blue and the yellow SOMA Chair completed our Stand in a beautiful way. Please, do not hesitate to contact us for any questions, press material or feedback. Thank you for coming around and making this a great exhibition!